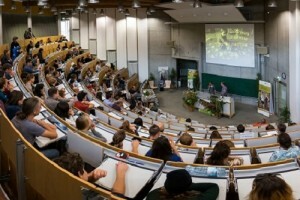 The mission of the International Forest Ecosystem Management (B.Sc.) Bachelor's programme is to train experts who are able to understand the Earth's forests as ecosystems and to conserve and manage them according to the principles of sustainable forest management (ecosystem approach). The graduates should contribute to the implementation of international decisions and conventions for the protection and sustainable use of the Earth's natural resources through their acquired knowledge, management skills and experience abroad. 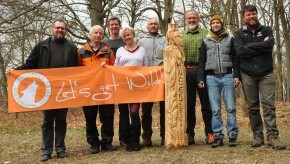 From February 27th to March 1st, a delegation from the European Wilderness Society, partner of International Forest Ecosystem Management, and the Western Colorado University in Gunnison, USA, started to discuss a new cooperation between the two Universities, with a special focus on International Forest Ecosystem Management (B.Sc. ), Global Change Management (M.Sc.) 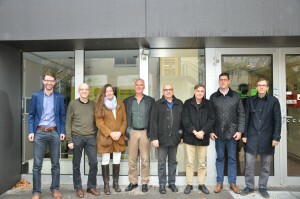 and joint research projects related to the Centre of Econics and Ecosystem Management. On November 30th Prof. Spathelf gave a lecture on 'Continuous-Cover-Forestry in Germany' at the Swedish Agricultural University (SLU). Close-to-nature forest management or permanent forest management is also a much discussed forest management approach in Sweden. 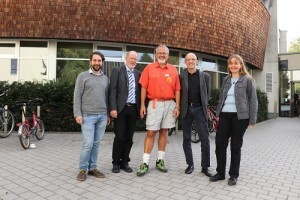 On the 13th November 2018 an exchange of information took place at the HNE Eberswalde between representatives of the forestry faculties and departments in Germany (so-called Dean's Day) The discussions focused on questions of education, the development of student numbers, digitisation in research and teaching as well as internationalisation. The aim is to hold the meeting every 2 years. For further news see the archive.